Do you like apples?- Then how do you like this apple? Fun, cheap, comfortable and safe stay in the very center of St Petersburg- all of that you can find in the hostel of your dreams- APPLE by name! We are glad to offer you six new renovated rooms at our hostel. Each room has free of charge Wi-fi, new comfortable beds and individual safe lockers for valuables. Also, we have taken into consideration your security- implement Video CCTV system and Fire alarm system. 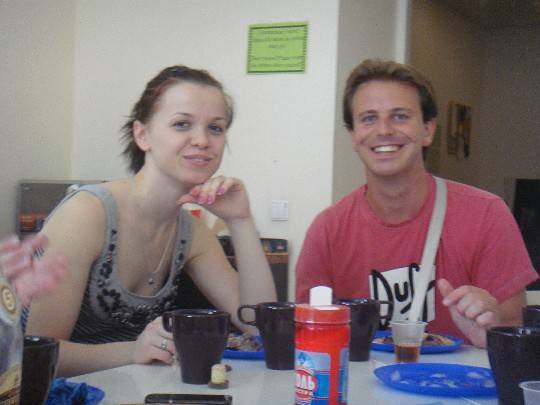 Apple Hostel offers comfortable accommodation to a wide variety of people with no age limits from all over the world! It’s a perfect place to meet people, exchange travel stories, find new experiences and make new friends. It's available both to individuals and groups. We will be happy to provide you with all necessary information about interesting places, main city events & nightlife. Young friendly English-speaking staff will create relaxed and friendly atmosphere for you, provide you comfortable and safe accommodation in Apple Hostel, and help you discover St. Petersburg! Apple Hostel will do its best to make your stay in St Petersburg and in Russia unforgettable! Each room has free of charge Wi-fi, new comfortable beds and individual safe lockers for valuables. 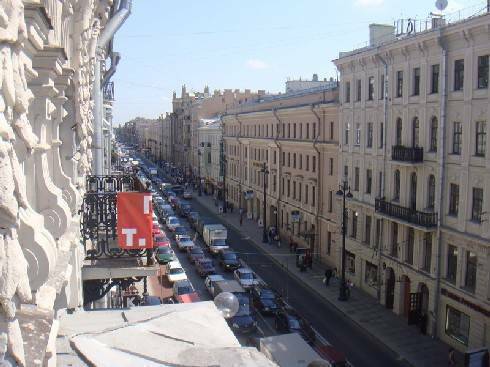 Large, light, renovated rooms withe the best view of Nevsky prospect- the main Avenue of St. Petersburg. Free wi fi, lockers for each guests, air conditioners and of course comfortable beds.